Bayland Birds Egret Rush - Here is a poster shot. 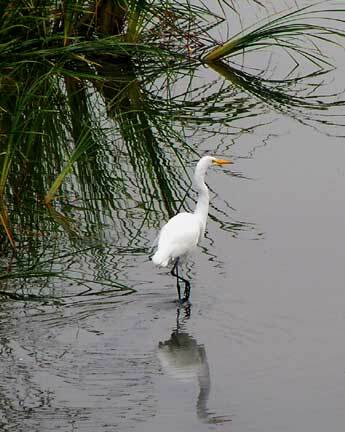 A handsome Great White Egret stands amid the reflection of the reeds, barely making a ripple in the calm morning air. Afternoon bay winds usually blast chilly air, which keeps the birds flying and ripples the water.